Mission Viejo tankless water heaters are our specialty here at Scott English Plumbing. We have the experience, training, and reputation you can trust. To schedule tankless water heater repair, replacement, or maintenance services, please don’t hesitate to give us a call at 949-462-9773. Or, if you prefer, you can always visit us at 1230 North Jefferson St, Suite H Anaheim 92807. The age of your on-demand water heater is one of the things that you will have to consider. Even though tankless water heaters can last anywhere from 15 to 20 years, it may develop problems before that. Replacing a tankless water heater is usually better than getting it repaired if it is old. If your water heater is not as efficient as it used to be, then it is time for you to get a new one. This is a sign that your water heater cannot keep up with the demands that are being put on it. If you are not putting any additional demands on your water heater, then you should get a new one. Furthermore, if you continually need tankless water heater repair, then you will need to get a new one. The cost of repairs will start to add up. That is why replacement can help you save a lot of money. 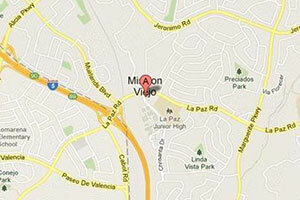 Our company has been repairing Mission Viejo tankless water heaters for over 15 years. You will be able to get quality service around-the-clock. You can call us 24 hours a day, 7 days a week if you have a problem with your instant hot water heater. You will be able to get your on-demand water heater repaired at a fair and reasonable rate. We offer low flat rates for your service. Make sure that you ask us if about the $25 coupon. Tankless water heaters in Mission Viejo require regular maintenance. You may want to use a whole-house water softener. Hard water is one of the many things that can ruin your water heater. You will also need to flush your tankless water heater. Flushing your water heater will help remove the sediment that has built up inside of it. When it comes to Mission Viejo tankless water heaters, the team of experts here at Scott English Plumbing is always the team to trust. We have years of experience and we always come highly recommended by our many satisfied customers. From repair to replacement, maintenance and installation services, we have you covered. Get in touch with our team of Mission Viejo tankless water heater experts today!